Enrolment rates in secondary and tertiary education are expressed as net enrolment rates, which are calculated by dividing the number of students of a particular age enrolled in these levels of education by the size of the population of that age. Generally, figures are based on head counts and do not distinguish between full-time and part-time study. 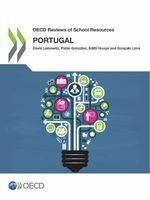 In some OECD countries, part-time education is only partially covered in the reported data.